Fort Myers is our primary service area here at Florida West Coast AC. This area of Southwest Florida is the place that our team calls home, and we’re proud to provide the residents of this community with reliable HVAC repair and related services. We’re here to make sure that you’re comfortable! Year-round, it gets pretty hot here — even during the winters. While the stable temperatures of the winter months can be quite nice, summers bring brutally hot temperatures. 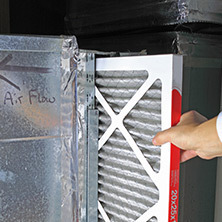 This is why our residential HVAC services are here to help keep your home cool and comfortable. Things heating up at your business? 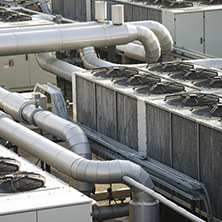 Florida West Coast AC also offers commercial HVAC repair and maintenance in and around Fort Myers. Comfortable employees are happy employees, and as every boss knows, happy employees are productive employees. At the end of the day, we’re proud to be the HVAC company of choice in the Fort Myers area. 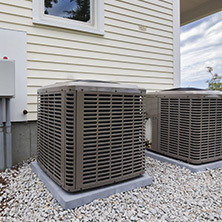 Time and time again, homeowners and business owners alike choose Florida West Coast AC for our attentive service, attention to detail, fair prices, and variety of services offered. When your worst nightmares begin to manifest and you’ve discovered that your air conditioning unit simply isn’t putting out any cold air, it’s good to have a local HVAC repair service that will meet with you as soon as possible. Don’t waste your valuable time searching other “HVAC companies near me” on the internet. Instead, simply call us today for prompt and thorough service! From your home to the office, everyone deserves to feel comfortable. 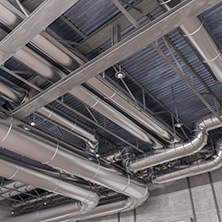 With the help of our duct cleaning services and HVAC maintenance plans, you’ll enjoy the perfect, temperature-controlled environment for years to come. Call us at 239-849-7857 to get started, or feel free to check out what other people are saying about our HVAC company in Fort Myers!